Simon Cooke notices the excellent MMOC turnout. The second picture is part of a wider view of the event. 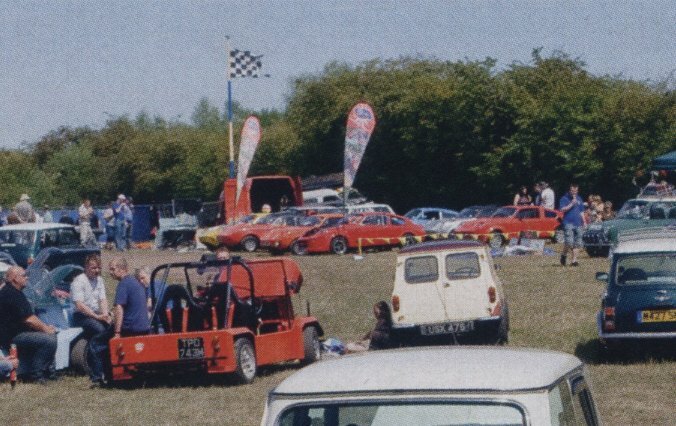 The red car in the foreground is a Mk.1 Jimini belonging to a Crewe’s Missiles member. That club also fielded an AMC Cub, just in shot on the bottom right. Both were referred to as Mokes! 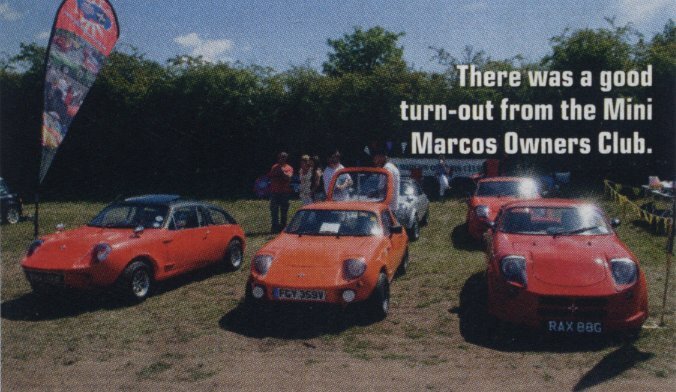 Members' cars present were those of Kevin Mitchell, Roger Garland, Melanie Garland, Richard Delaney, Richard Porter, Andrew Tyndale and Guy Humphries. The white Mini Sprint belongs to Gill Tyndale.